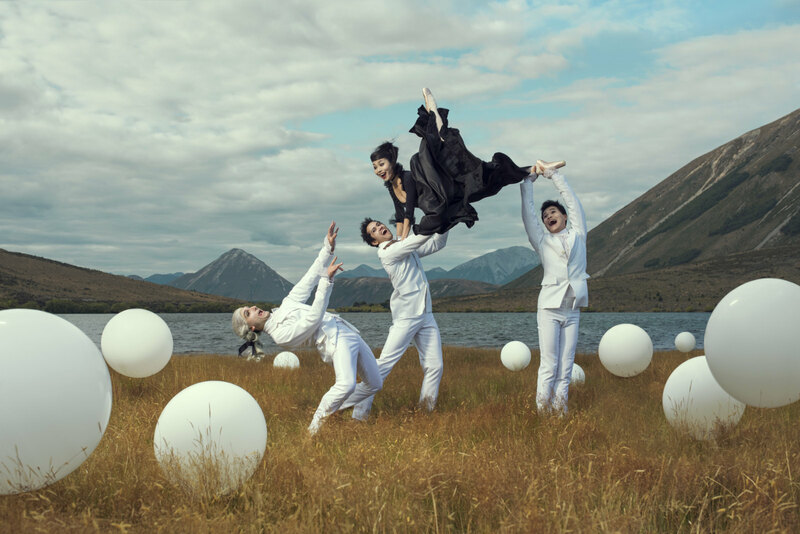 With a première in Wellington on May 31, and other centres through June and July, the Royal New Zealand Ballet’s Dancing with Mozart features George Balanchine’s Divertimento 15, and Jiří Kylián’s Petite Mort and Sechs Tänze. Corey Baker’s The Last Dance, the first ballet created in Antarctica, will also feature as part of Dancing with Mozart. The RNZB notes that it is one of the few companies granted permission to perform Divertimento 15, named for Mozart’s Divertimento No. 15 in B flat major, K. 287, with Balanchine répétiteuse Francia Russell coming to New Zealand for the first time to stage the work. Petite Mort, a modern ballet commissioned by the Salzburg Festival to mark the 200th anniversary of Mozart’s death, set to Piano Concerto in A major, K. 488 and Piano Concerto in C major, K. 467, and the humorous Sechs Tänze, accompanied by Mozart’s Deutsche Tänze K. 571, both receive their New Zealand premières as part of Dancing with Mozart. Baker, along with RNZB dancer Madeleine Graham, travelled to Antarctica in February to create a dance film to highlight climate change, and it is this film on which The Last Dance is based. It is set to Mozart’s unfinished Requiem in D minor, K. 626. After Wellington, Dancing with Mozart heads to Christchurch, Invercargill, Dunedin, Blenheim, Palmerston North, Napier and Auckland, finishing on July 8. Full details are at the RNZB’s website.